This initial differentiation can be used to segment the grains, but as with customers this can group dissimilar grains into the same set. The understanding of a customer’s age does not provide an indication of their life stage, so a 40-50 year individual maybe an ‘Empty Nester’ (children left home) or ‘Taxi Parents’ (teenage children requiring ferrying from A to B) or even ‘Late Child Carers’ (young or pre-school children) with different desires and needs. Looking beyond the initial details can ensure you target the customer appropriately and in the right context (understand current activity to provide a message which relates at the current time). The increased understanding of your customer can be represented by the increasing magnification of the sample of Devon sand shown in the images below (Fig 2) where the magnification is taken from 27x to 100x the initial view. The granular insight enables key common characteristics to be identified, which go beyond the initial shape and size comparison, which when combined with the material analysis ensures more specific and relevant segments can be identified. With customer segmentation the use of identity (who is the individual? ), quantitative (interactive & transaction details), descriptive (additional information describing the individual, but not specifically identifying the individual) and qualitative (opinion, attitudinal, motivational) information can be used to define your understanding, beyond the original surface levels. Finally the use of changing behaviour (amount, type, frequency, etc) can help you go beyond straight facts to identifying customers who may be likely to churn or need additional services beyond the existing usage. Think about the impact of adding water to sand and those footprints you left as you walked along the beach. 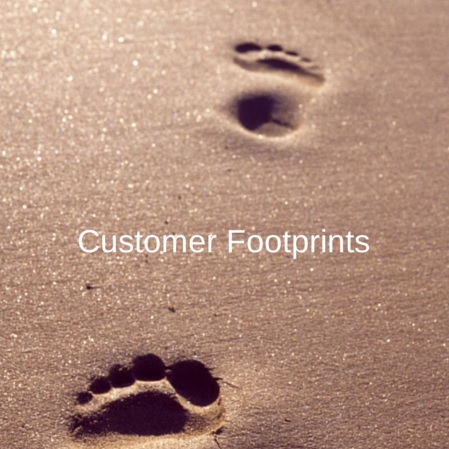 ‹ How can a customer journey lead to data enlightenment? Another great post Jim. Interesting pictures and gets me thinking about the granular insight of things that you talk about.